Raditz has kidnapped Gohan! And unless Goku agrees to forsake his friends and the people of Earth by joining the sinister Saiyan, he may never see his son again! All hope is not lost, however, as a second uninvited guest arrives on the island - and Goku forges an unlikely alliance! Krillin pulls Yamcha away from a rowdy baseball game to begin training at Korin Tower. Meanwhile, Gohans adventures in the wilderness continue, as he makes a new dinosaur friend! Gohan is happy to finally have some company. That is, until he gets a harsh reminder - not all dinosaurs are friendly! Finally back on Snake Way, Goku comes across a house. Thinking it belongs to the legendary King Kai, Goku believes his amazing journey has ended. But he soon finds himself begin deceived by Princess Snake, who will do anything to keep Goku her prisoner forever! Mr. Popo leads Earths top warriors to Kamis Pendulum Room where the past, present and future exist at the same time. After an eventful trip back in time they all realize they have to train a lot harder if they are going to stand a chance against the two Saiyans who are speeding ever closer to Earth. Gokus training with King Kai complete, Master Roshi and the gang summon the Eternal Dragon to wish him back to life! And theyre not a moment too soon. Theres only one day left before the Saiyans arrive! The problem is - its going to take Goku two days to return on Snake Way! Having completed their year-long journey to Earth, the two snister Saiyans made their presence known with explosive style! Now Krillin, Piccolo, and Gohan stand face to face with these saiyan monsters, and the diabolical henchmen theyve brought with them. Can they hold out until Goku arrives? Enraged over the loss of his friend, Yamcha, Krillin unleashes a powerful attack that destroys the maniacal Saibamen once and for all. But the victory is only temporary. Now the Earths defenders must battle the Saiyans themselves - and the terrifying Nappa is ready for a fight! Vegeta has called a halt to the fighting, and Nappa uses the time to go on a rampage! Meanwhile, Goku reaches the end of Snake Way and races to rejoin his friends, But is he already too late to save them from the deadly Saiyans? Piccolo, Gohan, and Krillin do their best to stop the Saiyan invaders, Vegeta and Nappa, from finding the Dragon Balls and taking over the planet. Meanwhile, Goku is flying back to Earth on the Flying Nimbus with more power than he has ever had before. Will it be enough? And will he arrive in time? Piccolo makes the ultimate sacrifice in an effort to save Gohan from the Saiyans ruthless rampage. Just when all seems hopeless, Goku finally returns to Earth with an incredible new level of power and confronts the Saiyans. But, will this new power be enough to defeat Nappa and Vegeta? 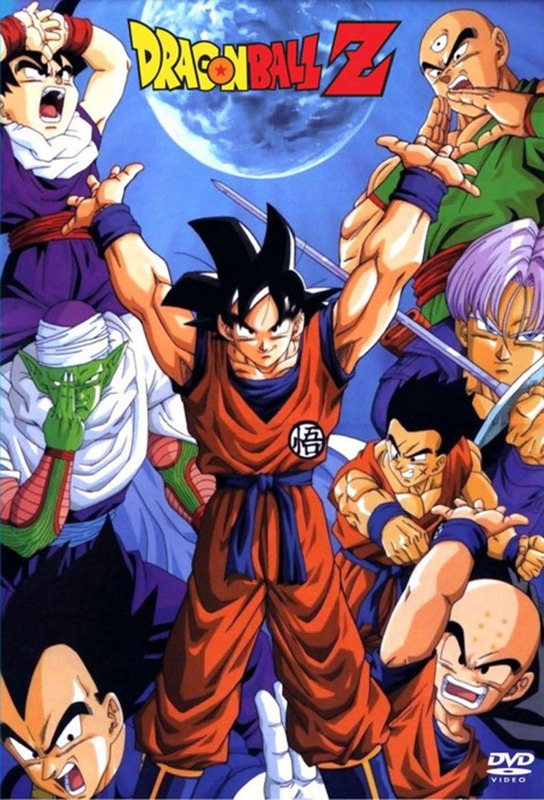 The battle with the Saiyans finally won, Goku, Krillin, and the others mourn the loss of Yamcha, Tien, Chiatzu, and Piccolo. With Kami also gone, the Earths Dragon Balls have disappeared. There is no hope for wishing any of the fallen heroes back to life... Or is there? Gohan joins Bulma and Krillin as they head to Planet Namek in search of the Dragon Balls. What begins as a mundane trip becomes chaotic when they encounter a bizarre situation in the emptiness of space. Finding themselves on some type of space station, they set out on foot to find their escape.